I still have the hugest grin on my face! And I can’t get the songs out of my head! 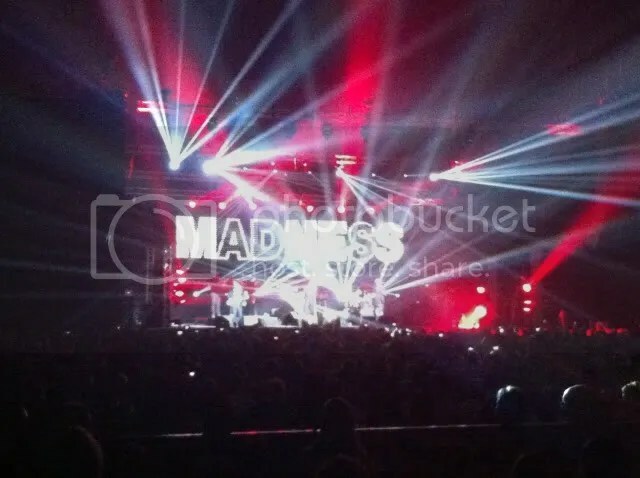 We went and saw MADNESS at the Heineken Music Hall. It was incredible!!! 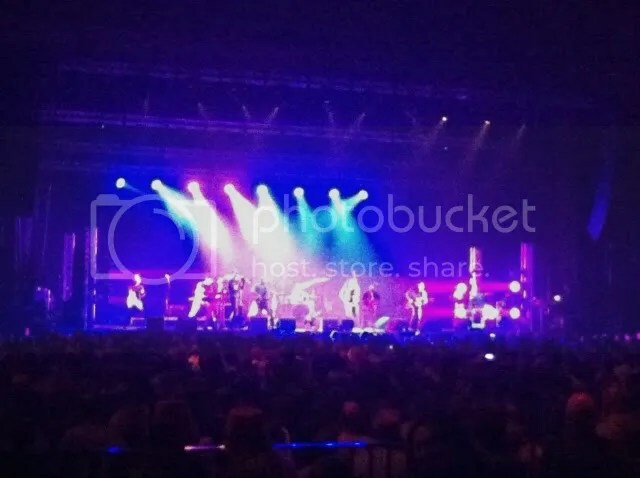 The support band began at 8pm, and had an awesome brass section! (As I guess you’d have to to support MADNESS successfully) They were so full of energy that my dodgy phone photo is all blurry. The crowd was enormous, well behaved, in good spirits, and surprisingly of all ages! And as the house lights went down, and the band came out, the amount of little LCD screens recording the show was remarkably impressive! No issues with taking pictures here! I guess they have realised that they actually can’t take peoples phones off them or stop the pictures being taken. Besides, the amount that I saw being forwarded directly to twitter? It seemed like remarkably good marketing! 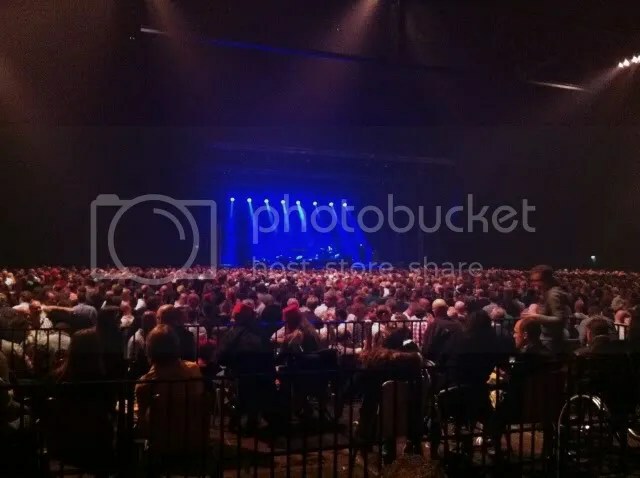 One of the lead singers made the comment at the end of the night that one girl in the front row hadn’t watched any of the show, but if we wanted video footage of the entire performance, to catch up with her outside! They played all the old favourites that I remembered from *cough* years ago, and everyone was singing along! (Or screaming. Yes, me too.) Though I must admit, seeing over 40 year old guys in suits singing about teen angst was remarkably amusing! Enough blather from me though. Enjoy my own small slice of footage, and pogo along with the rest of the audience to the end of Our House!